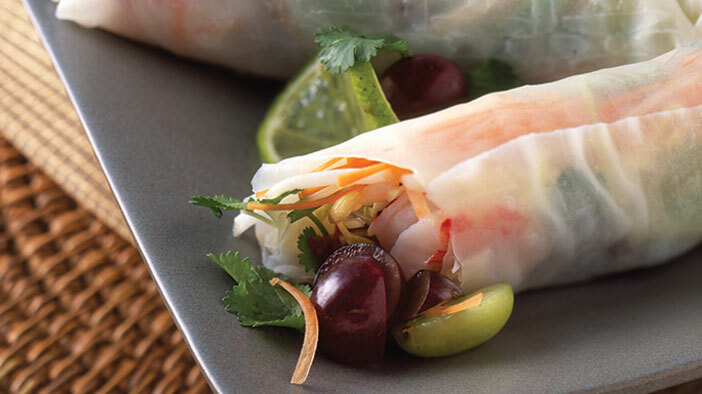 Prepare grill or broiler. 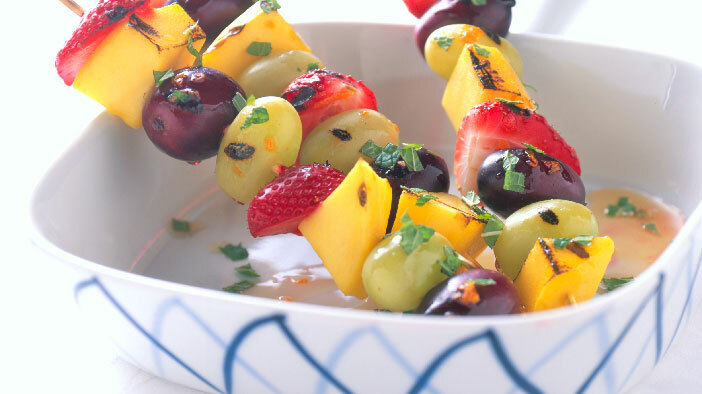 Skewer fruit, alternating grapes with mango and strawberries. Prepare glaze by mixing together honey, orange zest, orange juice and salt. 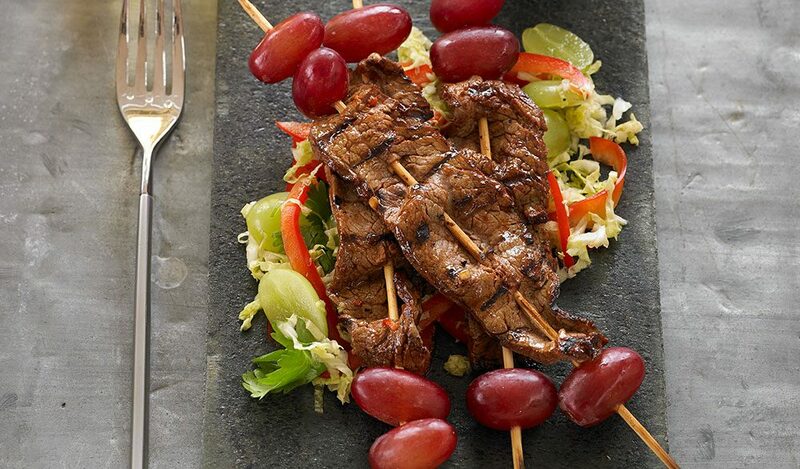 Both fruit skewers and glaze should be at room temperature before grilling. Grill skewers over hot coals until lightly browned on each side, about 2-4 minutes per side. Brush fruit with glaze and sprinkle with mint. Serve warm. Nutritional analysis per serving: Calories 182; Protein 2 g; Fat 1 g; Sat Fat 0g, Calories from Fat 3%; Carbohydrates 72 g; Cholesterol 0 mg; Fiber 3 g; Sodium 148 mg.